There’s good news ahead for those of you who want to make capital equipment investments this year. The Section 179 deduction, a tax credit enabling American businesses to receive tax deductions on industrial equipment purchases of up to $2,000,000, has been reinstated for yet another year. Originally adopted under the Bush Administration, the credit has survived the recent fiscal battles on Capitol Hill, and businesses across the U.S. have reason to celebrate, as well as to take advantage. After all, facts are facts. Whether you wish to buy new and/or used industrial equipment, machinery, transportation, or even software systems, you can deduct the full amount of any business-related purchase of up to $500,000. Now who amongst us doesn’t strive to lower his or her bottom line operating costs? With 179 still in place, you can make that happen for yourself, and keep competitive in a swiftly-changing global market. This is good news especially for those who aim to purchase our Uzelac BMS or a Duske Dryer System as part of their 2013 resolution to expand their future business options. One example of a good investment in 2013 is the Bio-Fuel Market. The bio-fuel market is a massive energy market that remains yet to be tapped to even half of its long-term potential. From a bird’s-eye “global” view, experts at Pike Research estimate that the potential bio-fuels market will double upwards to $185.3 billion by 2021. As countries across the world adopt ever-more stringent environmental and energy-saving standards for their industrial bases, bio-fuels are set to rank right up there with oil, gas, nuclear, hydro, solar, and wind as a means of powering national infrastructure. In short, it’s low-hanging, cost-effective fruit that’s ripe for the picking (and/or recycling). 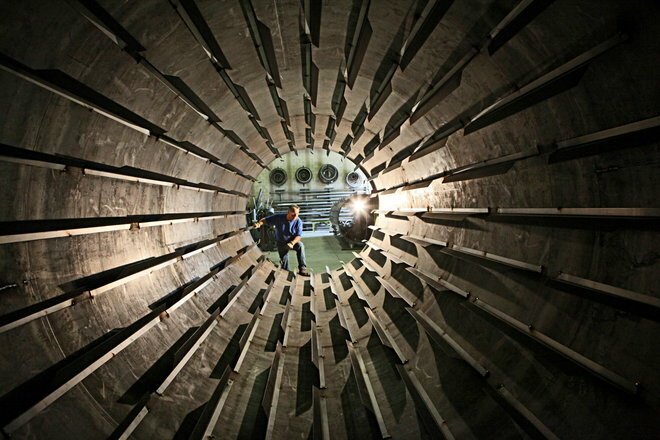 Simply put, our Duske Dryer systems are some of the most advanced in the world. True, they cost their fair share of money. But with Section 179 still in place, you won’t see your purchasing costs soar in time with your entrepreneurial spirit. Our dryer systems become affordable to almost anyone wishing to get into the bio-fuels business. So if you’re looking to leap boldly into 2013, Duske’s the way to move forward. For more information on Uzelac Industries, Inc. and how you can save huge sums of savings on our Duske Dryer Systems, contact us today by phone or by email. It comes down to this: almost everything we do every day has a direct effect on the environment. Cars, computers, refrigerators, and even the type of food we eat contribute to our carbon footprint. There are simple things you can do to begin to lessen your impact on the planet. Stuff like taking showers over bathes, unplugging your phone charger, buying local foods that don’t need to be trucked in from far away, carpool, and of course plant a tree. There are also some that aren’t so obvious, like using white trash bags over black and shifting into higher gear in your car as soon as possible. However you choose to do it, the little things can add up. The EPA even offers a Household Carbon Footprint Calculator that allows you to get a rough estimate of your family’s footprint. At Uzelac Industries, we are trying to do more than just help a little, we are trying to help people and companies make big changes. Our unique Biosolids Management Solution (BMS) is an eco-friendly process that creates clean and green energy while reducing carbon footprints. With an unobtrusive presence on a given jobsite, the BMS is the perfect replacement to the incinerators of yesteryear. Not only does it cost 75% less than a standard Biosolids incinerator, but it reduces the cost of landfill maintenance by over 90% – by sheer volume reduction of Landfill waste. Customers can expect an overall ROI on their Biosolid Management Solutions systems of less than two years! It just goes to show: we are driven not only to be a successful and profitable company, but also a company that reduces the carbon footprint of everyone we work with. Check out our Bio-Solids Management Solution (BMS) Video. A few years back, the idea of using a drying system to deal with waste or unwanted biomass was in some ways novel. Not that people didn’t understand the concept, in fact humanity has been using dried biomass as an energy source since the dawn of time (think man discovering fire and putting it to dry wood!) It is just that in recent years people have become completely dependent petroleum based fuels. In addition, when it comes to disposing of waste like municipal sludge, “out of sight, out of mind” worked well until there was no more room left to keep it out of sight! It is for this and many other reasons that Uzelac’s Duske Drying Systems are becoming more popular by the day. Unfortunately, popularity can also bring with it misconceptions. Some people got the incorrect idea that we specialized in only smaller drum dryers. That just isn’t the case. 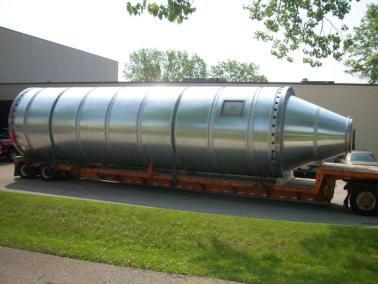 In fact, we can design and manufacture drying systems that require dryer drums from 6’ to 13’ in diameter and up to 70’ in length. Right now, we have quite a few larger drums operating around the globe. We work with giants like Cargill, Hormel, and Tyson, so we know “big” as well as anyone in the industry. Of course, we still give every one of our clients the exact same outstanding customer service. The bottom line is that we are a custom drying system company that will meet or exceed our customer’s needs and expectation, no matter how big or small. At Uzelac Industries, we have always cared about high quality products and outstanding customer service more than winning awards. That said, we are genuinely honored (and thrilled) to be a first-year winner in the Metropolitan Milwaukee Association of Commerce’s annual list of rapidly growing companies, the “Future 50”. This honor is a testament to our founder, Mike Uzelac’s, vision and commitment. Combining and rejuvenating old line small business and weathering one of the worst recessions in American history is a tough thing to pull off (to put it mildly), but not only have we made it, we’ve thrived. Since we started, we have more than doubled our facility’s initial square footage and added quite a few jobs. It is helpful that the market for biofuel and biomass technology has begun to gain traction over the past decade. Every day, scientists and researchers are finding new ways to use organic wastes to power the homes, businesses, and transportation of the future. It is a truly exciting time to be involved with biomass and biofuels, and it’s nice that others recognize the future when they see it! These new markets, along with our valued customer base in the Rendering Industry, have greatly contributed to our success. While we serve clients all across the country and the globe, we are quite proud of our involvement in bettering the local business community. We have always felt that our core values come directly from the inspiring people of the Midwest, especially those in the Milwaukee area. Therefore, we just wanted to thank everyone at the MMAC for this honor, and we hope we can add even more jobs and revenue to the area in the next few years. One of the hottest trends in the energy today is the bourgeoning biomass industry. In a nutshell, biomass is biological material from living or recently living organisms. People utilize it for a number of different things, but of late, biomass has become a very popular renewable energy source. In all fairness, it’s not exactly a new energy source (wood counts as biomass, so it’s been around since humans discovered fire) but scientists have recently found new and paradigm-shifting ways to convert plants such as switchgrass and sugarcane, waste products like landfill gas, and municipal solid waste of all types into clean and efficient fuels. In fact, just recently the White House announced up to $35 million in new funding over three years to support research and development in advanced biofuels, bioenergy, and high-value biobased products. Uzelac’s Duske Drying Systems and our innovative Bio-Solids Management Solution (BMS) are both driven by years of experience in creating custom drying systems that convert biomass and bio-solids into profitable by-products. Our engineers have put together countless drying systems that are amazingly cost-effective and eco-friendly. Major biomass companies like Zilkha Biomass Energy, Alternative Energy Solutions International , and N-Viro have relied on Duske Drying Systems to become leaders in their fields. Our Bio-Solids Management Solution is a groundbreaking system that brings with it a more effective alternative to land application, land filling, and incineration. It offers companies a truly green process, a program which virtually eliminates fuel costs and is beneficial for bottom line and carbon footprint alike. Everyone at Uzelac Industries is excited about our role in the biomass industry, since we believe that someday soon, sooner than some might expect, biomass will play a much greater part in satisfying the world’s overwhelming energy needs. Keep checking our blog for more stories about our work at the forefront of the bourgeoning biomass and bio-solids revolution. For as long as most people can remember, downsizing and outsourcing have been a major part of the American business landscape. There’s no doubt that a lot of companies have improved their bottom lines thanks to cheaper overseas workers or smaller shops. But at Uzelac Industries, the idea of outsourcing or ignoring our commitment to our community never even crossed our minds. Uzelac Industries is a combination of two old-line Milwaukee businesses brought together into one modern and innovative company. We might be a dynamic design/build manufacturing company, which utilizes only state-of-the-art machinery and technology, but we have never lost touch with our Rust Belt values. What some might refer to as “old-fashioned values” are simply “values” to us. A commitment to customers, community, and employees never has and will never go out of style. Things like personalized service, American-made capital equipment, and Union employees are all important to making us who we are. Both of the companies that comprise Uzelac Industries, Industrial MetalFab and Duske Drying Systems, thrive due to this strong belief in a greater sense of awareness beyond just the factory gates. A great example of this is our journeyman sheet metal workers. Unlike our competitors, our proud and highly- skilled sheet metal workers take projects from start to finish. They take the steel off the truck; they fabricate it, and then prepare it for shipping. No outsourcing, no compromises, no corners cut. We can do all of this while maintaining competitive prices, unbelievable customer service, well-known quality, and quick turnaround times. This blog will not only be an opportunity for us to share all our latest and exciting projects involving our direct-fired rotary dryers and custom metal fabrication, but will also hopefully demonstrate our commitment to Rust Belt values, and how that makes Uzelac Industries a great company, both to work with and work at.